This vertical baler exerting 18 tons of compaction is ideal for both cardboard and plastic. The heavy duty construction and numerous unique safety features make it a robust, reliable machine. 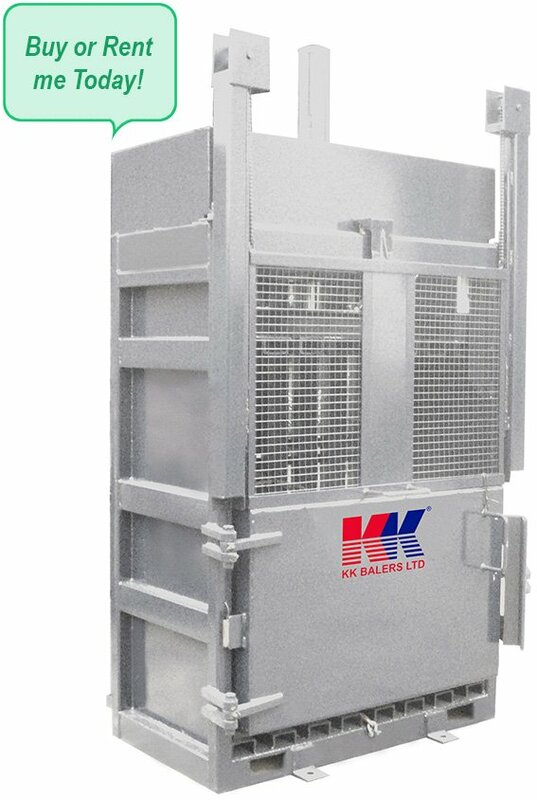 Widely used as a general purpose baler. Producing bales of waste weighing up to 280 kg depending on material. This model is the next step up from the KK 15 with a wider 1.2 metre loading aperture and auto vertical slide opening door. It has a distortion free press ram with guides on all sides, preventing an imbalance when loaded unevenly. The KK 18 can be purchased or hired on variable terms. Please contact for further details. Pallet Truck, Can Crush Platform, Side Opening Loading Door, Single Phase Electrics.